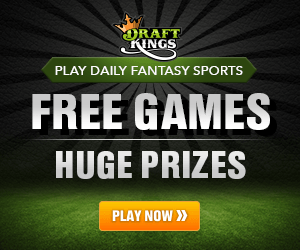 DraftKings has become the &#8216;official daily fantasy game&#8217; of Major League Baseball (MLB). On Thursday, DraftKings announced a &#8220;multi-year expansion of its exclusive partnership&#8221; with MLB, which took an undisclosed equity stake in DraftKings two years ago. The announcement comes just days before Sunday&#8217;s commencement of the 2015 MLB season. DraftKings is already the official DFS provider for the National Hockey League. Rivals FanDuel have struck an exclusive deal with the National Basketball Association that allowed the NBA to take an undisclosed equity stake in FanDuel. give it time to figure out how to eliminate the middleman and launch its own bespoke DFS product. which restricted financial institutions from processing payments for other online gambling operators. With legal sports betting still a long ways off for anyone not living in Nevada, DFS has become the only legal option for US sports fans looking to add some spice to their games.